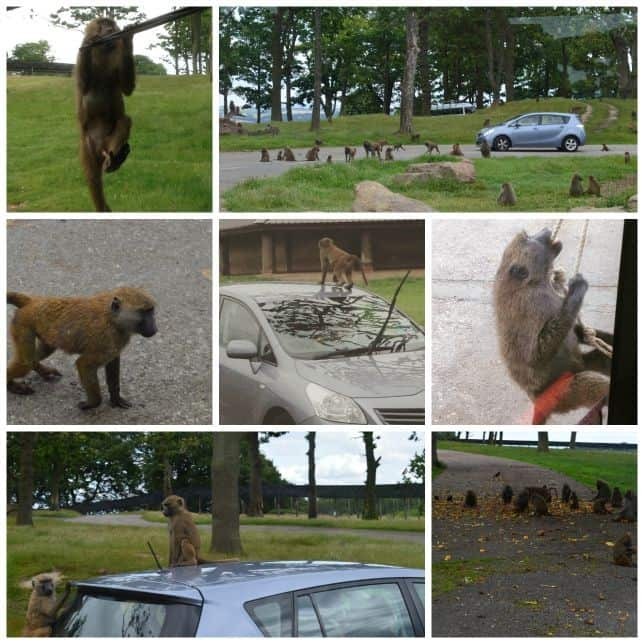 We were very lucky on our recent family weekend break to Liverpool to be invited to Knowsley Safari for a day out. None of us had been to Knowsley Safari Park before, so this was an amazing new experience for us to share together. Daddy didn’t even realise that safari parks even existed in this country so it really was an eye opener for him. We arrived at the park when it opened and were given our arrangements for the day and the time we had to join the Knowsley Safari Baboon Bus by the meet and greet staff. As we weren’t going to be joining the bus until 12pm, we decided we would drive around Knowsley Safari first to find out what it was like. I’m so glad we did, as being one of the first cars around the park was a real advantage. 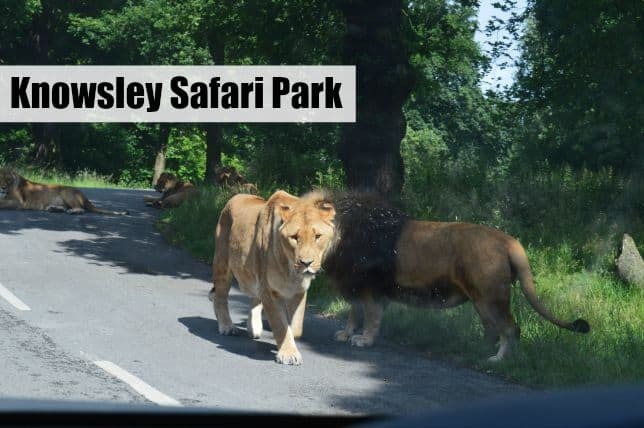 If you are planning a visit to Knowsley Safari Park I really would urge you to get there as soon as the gates open and head straight to the safari. The benefit of doing this is you get to see the lions right up close and personal, so to speak. Before the cars start to arrive at the park the lions take advantage of this quiet time and loiter along the road side. When we went through the park later on the Baboon Bus they had moved off the road on to the platforms they can rest on. You still get a great view of them, but you don’t get pictures like this. This had to be the most breath taking part to our visit, and something we would not have seen if we had not gone round the park first thing. They are magnificent creatures aren’t they? Around the park there are so many animals to see that to make the most of your visit we would recommend going around twice at least. They have a vast collection of all different kinds of animals from zebras, giraffes, peacocks, elephants and rhinoceroses. The park contains around 700 species of animal all together over 550 acres of safari park and I’m pretty sure we saw nearly all of them. 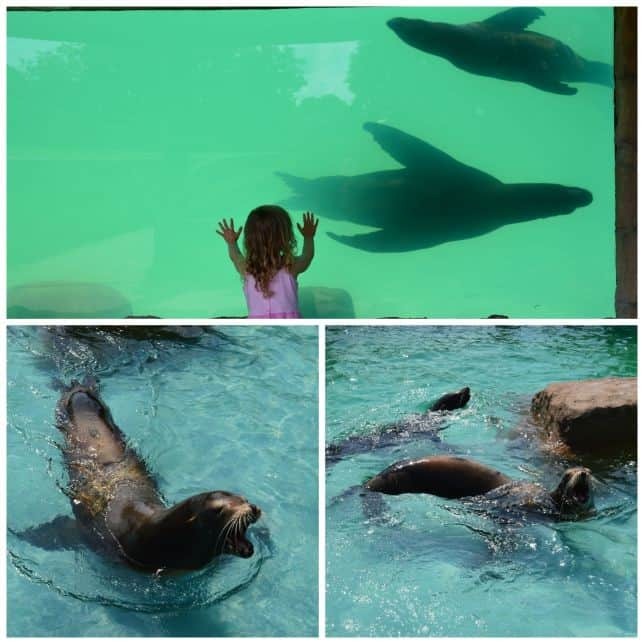 Indie seemed to enjoy the sea lions the most, and the fact she could see them from under the water really added to her experience. I lost count of the times she went up and down the steps to see them from all the different angles she could in the pool. 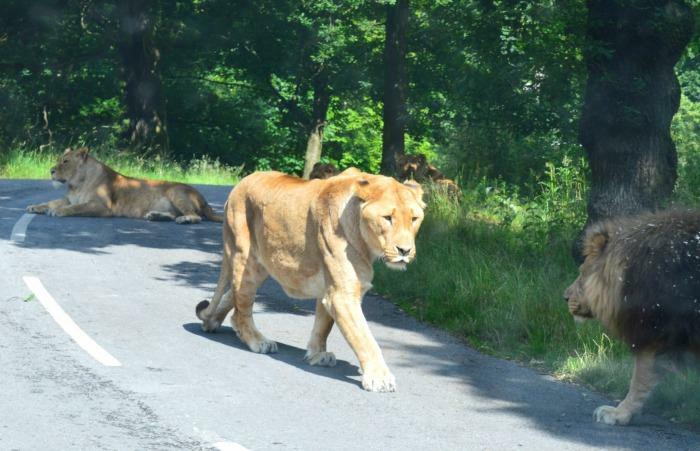 Knowsley Safari have talks and shows on through out the day so you can learn more about the animals that live there. We really wanted to watch the sea lion show, but didn’t make the times. We did hear all about the meerkats though, which we really enjoyed. Knowsley Safari Park has a a very large collection of Baboons in residence. When we drove round the park ourselves we decided to take the Baboon safe route. We valued our windscreen wipers, especially as we were going to be driving 2 hours back to Nottingham after the weekend and we know baboons aren’t shy about pulling things off cars. We knew we would get to see them when we caught the baboon bus later. These cheeky primates have quite a reputation you see. They are famous for stealing windscreen wipers, England flags, number plates and pretty much anything they can pull off a car. They are also known for using the odd moving vehicle as a toilet. We saw this in progress, so I can completely vouch for it. They are amazing creatures, but when they see a car they think it’s playtime. When we were about to enter their enclosure on the Baboon bus, we saw a women get out of her car, and stick her windscreen wipers down with masking tape. Now, you remember those lions I mentioned at the beginning of the post? Firstly, it really isn’t a good idea to get out of your car whilst at the safari, and secondly masking tape really isn’t going to make a jot of difference. It’s definitely worth taking the Baboon bus at Knowsley Safari Park for lots of reasons. The guide gave us lots of interesting facts about all the animals that live at Knowsley Safari, which we all really enjoyed. You can use the guide your given on entry too, but I must say I prefer someone to point things out and talk to you, they often have stories you don’t find in the tour guide. The main reason though is that the Baboon bus is a great way to see the Baboons and keep your car in one piece. There are ropes hanging from the bus that the Baboons catch and climb up, but they aren’t shy about using the windscreen wipers either. This was such a fun experience, and our 3 year old thought it was very amusing watching the baboons jump onto the bus. She thought it was even more amusing when one wee’d down the windscreen. These baboons know no shame. I really can’t recommend the Baboon bus enough. 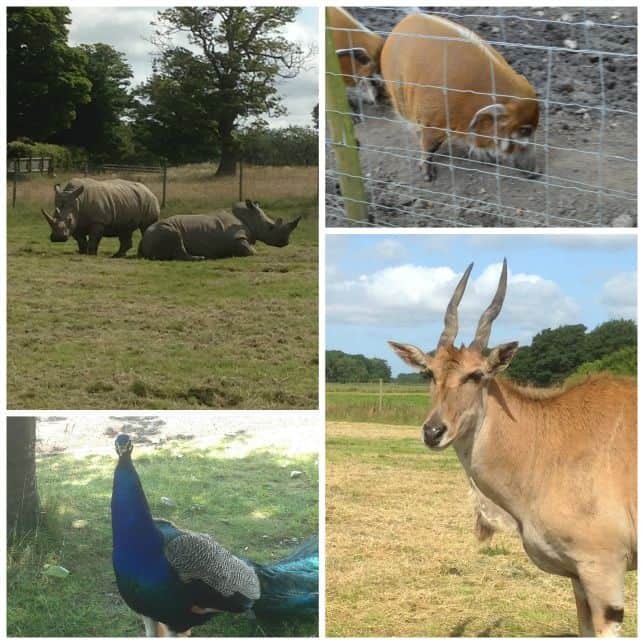 We had an amazing visit to Knowsley Safari and would recommend a visit for anyone coming to Liverpool. It really does have something for everyone. 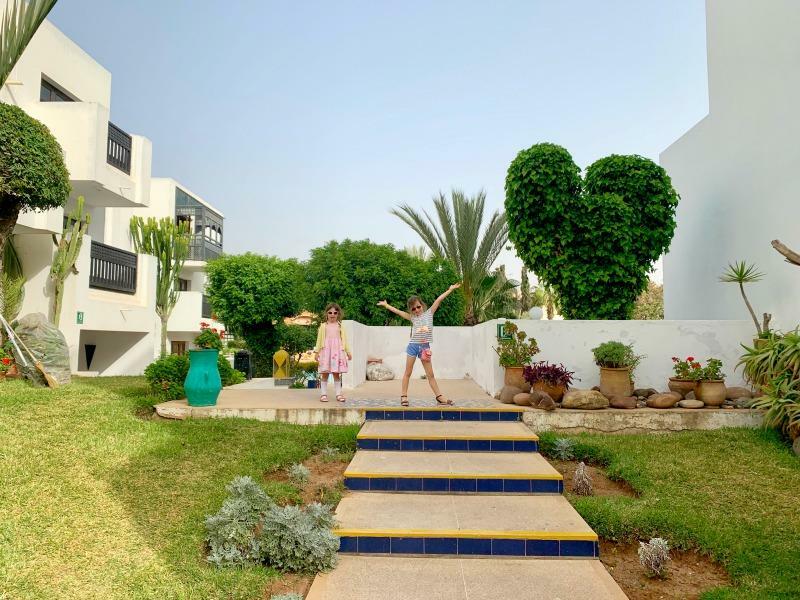 The have a play park for the children to enjoy, restaurants and picnic areas too. They have a really flexible pricing structure so that you can enjoy the park in the best way that suits you. Entry starts at just £17.50 and under 3’s are free. Baboon Bus tickets are £5.50 per person. It really is great value for money. We were provided with complimentary tickets to Knowsley Safari Park in exchange for this post, but all thoughts and opinions are our own. We’ve been a couple of times. Last time was last Xmas. It was our 3yr old 1st time, she liked it until we went to see the lions and monkeys, we went. All she can remember is one of them jumping up at our door and opening our side door. We will next time!! As it opened slightly. this looks so fun!! so you can drive around the park on your own? the lions don’t damage the cars? Yep, you can drive around on your own. There are rangers around making sure people don’t do anything silly like open car windows for photo’s. It’s not the lions you have to worry about, it’s the baboons! It looks such an amazing place to visit! It must be so great to get so close to the animals! Kim Carberry recently posted…Win a selection of Vanish Products! – Giveaway! I can vouch for the Baboons liking number plates, we had ours snatched off a few years ago, not that we minded as the children loved every minute of it, but if you are worried about losing something from your car the Baboon bus sounds ideal! We went in early like you and saw the lions close up, a brilliant if slightly nerve wracking experience! What a great price for such a good day out. It is wonderful being able to be so close to such magnificent creatures. 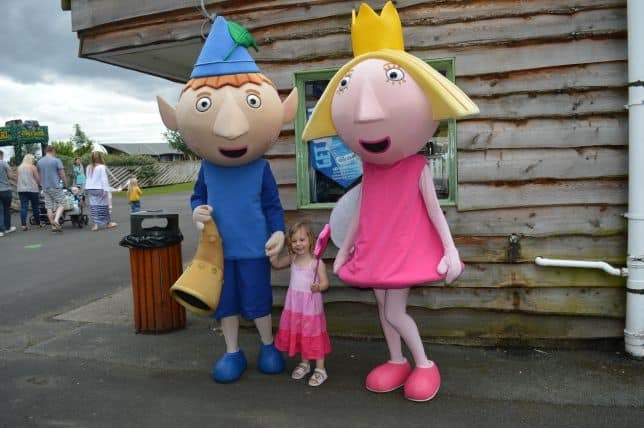 And to meet Ben and Holly too. I’m glad you all enjoyed it. Oh wow this place looks amazing!! I am going to have to take Boo – she loves monkeys at the minute. And I am really pleasantly surprised by the prices too! I love Safari parks; it might be the only place I will get to see some of the wild animals. I’ve never been, it looks wonderful, and the tickets are really good value for an animal attraction. Thanks for the review and beautiful photographs! Living in cheshire I’m looking for days out and places to go this summer! 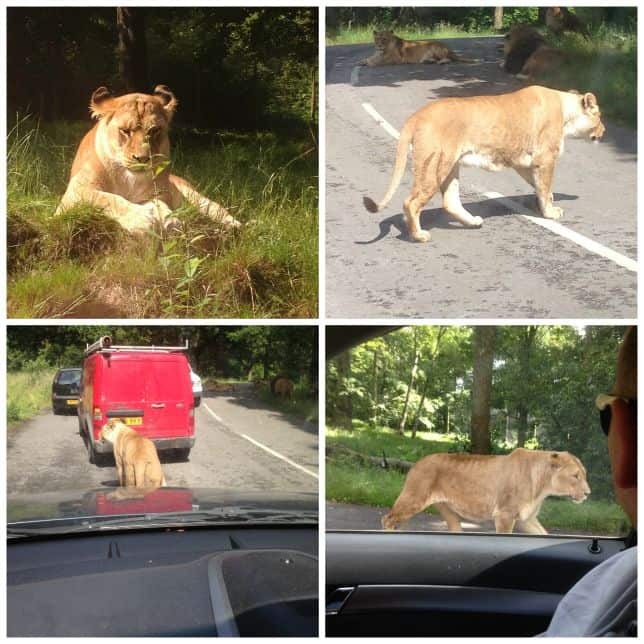 After readying this I think that Knowsley Safari Park will be on the list! Looks fab!